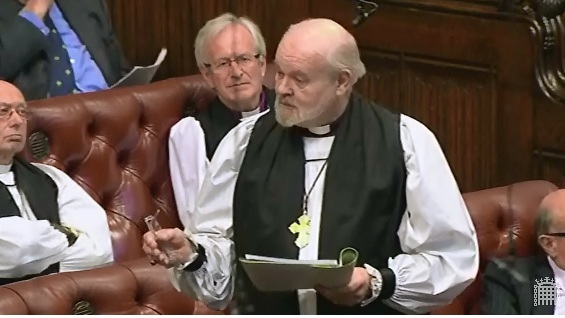 On 12th October 2015 the Bishop of London, Rt Revd Richard Chartres, spoke in the Second Reading debate on the Government’s Enterprise Bill, to highlight the importance of apprenticeships. The Lord Bishop of London: My Lords, as has been said, the Bill is modest in ambition but still very useful, especially the proposals in Part 4 setting targets for apprenticeships and containing measures for protecting the brand.I was fascinated by the Minister’s throwaway suggestion that there ought to be some ceremonies to symbolise the successful conclusion of apprenticeships. Speaking as a representative of “Rituals ‘R’ Us”, I could certainly offer a consultancy. We might even have apprenticeships in the Diaghilev industry that I can see growing today. In the City of London, of course, regulations governing apprenticeships, to which the Bill contributes a 21st-century coda, go back to the 13th century. Then, the minimum was seven years and sometimes longer, and I hope that the Minister is aware of, and looks to, the 109 livery companies as allies. They are small businesses in themselves and, as part of their extensive involvement in education, they have also increased their involvement in craft-based apprenticeships. Companies such as the spectacle-makers are participating in advanced three-year apprenticeships and they have certainly acknowledged the support of BIS in getting their scheme off the ground. They are part of the Livery Companies Skills Council, which was set up in 2013 to support all manner of craft-related apprenticeships.